The Facebook Data Science Team curled up with some good books, analyzing more than 130,000 status updates containing the phrases “10 books” or “ten books,” during the last two weeks of August, playing off a meme that has been active for about one year: “List 10 books that have stayed with you in some way. Don't take more than a few minutes, and don't think too hard. They do not have to be the 'right' books or great works of literature, just ones that have affected you in some way." So, which book finished at No. 1? To answer this question, we gathered a de-identified sample of over 130,000 status updates matching “10 books” or “ten books” appearing in the last two weeks of August 2014 (although the meme has been active over at least a year). The demographics of those posting were as follows: 63.7 percent were in the U.S., followed by 9.3 percent in India and 6.3 percent in the U.K. Women outnumbered men 3.1:1. The average age was 37. We therefore expect the books chosen to be reflective of this subset of the population. We programmatically segmented the posts into lists and found the most frequently occurring substrings, which corresponded to different books, e.g. “Anna Karenina by Leo Tolstoy.” However, the same book could appear as different substrings: e.g. just “Anna Karenina” or “Anna Karenina — Leo Tolstoy”. We clustered similar variants programmatically, hand tuning where the algorithm had failed to merge two popular variants. 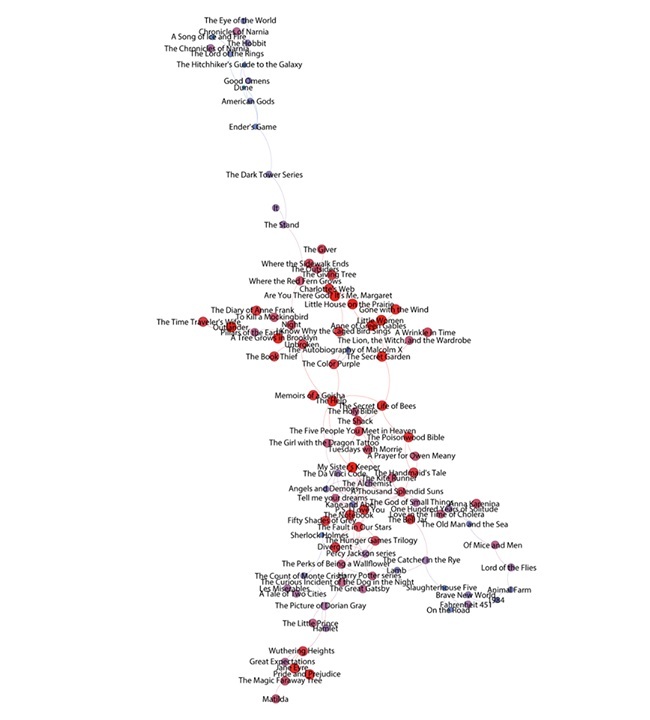 We then used the clusters to automatically match the book lists against the common variants of the top 500 most popular books. Readers: How many of your favorite books and authors made the list? 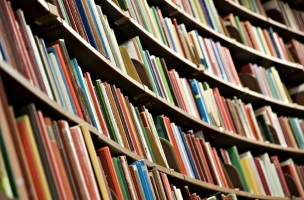 Image of bookshelf courtesy of Shutterstock.